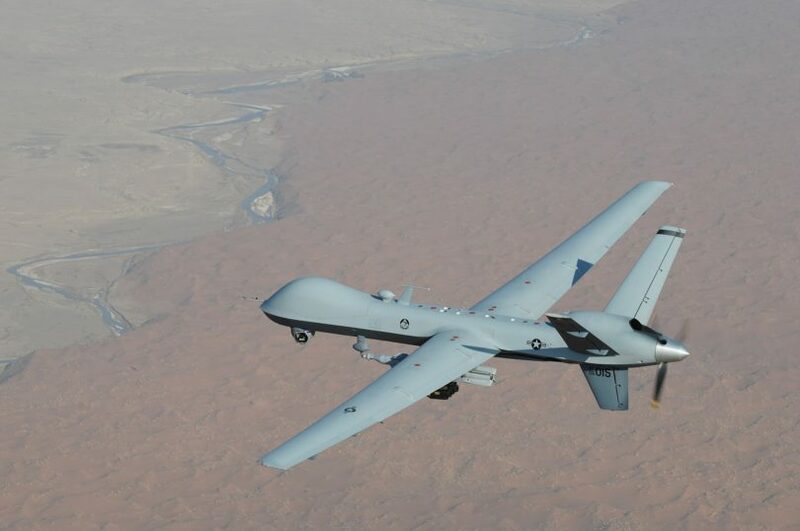 An American unmanned aerial vehicle—in this case flying over Afghanistan. Since Donald Trump’s US air strikes in Somalia have risen, even while transparency has dropped. In five weeks on the ground in Somalia, our reporting identified air strikes that were not publicly reported by AFRICOM. That reporting also identified strikes that AFRICOM would not avow, suggesting another US actor conducting air strikes in the country. Despite claims that AFRICOM has not caused any civilian casualties in such strikes, US and Somali sources say the mechanism for investigating suspected casualties is weak. The relationship between the United States’ and Somalia’s security apparatuses evolved with the new presidents who took office in both countries in early 2017. In March of that year, The New York Times reported that President Trump had signed a directive that designated parts of Somalia as areas of “active hostilities” for at least 180 days. This designation granted AFRICOM greater flexibility to launch strikes in those regions. During most of President Obama’s time in office, suspected members of Al Shabab could only be targeted if they were judged to be threats to the United States. The new directive allowed AFRICOM to kill anyone deemed to be a member of Al Shabab, and it also required less coordination between military and intelligence agencies before a strike could take place. Nearly two years later, the United States Africa Command will not say whether the declaration of “active hostilities” is still in place or what parts of Somalia it applies to. Nor would AFRICOM comment on which agencies were helping to vet the targets or had done so in the past, instead referring me to a spokesperson at the Department of Defense. That person told me that a member of the National Security Council was better placed to answer my questions. The NSC said they would look into my queries but did not respond in time for publication. AFRICOM did not publicly announce any strikes in July, but a document leaked to me by an international human-rights organization indicated an attack on July 25 in Qalimow, a village to the north of Mogadishu and about 95 miles from Ali’s home. I approached AFRICOM and asked if any strikes had occurred between July 22 and 27. Applying RTQ, a spokesperson acknowledged a strike on July 23 but would not specify the location. After weeks of pressing, AFRICOM said the strike happened 30 miles north of Kismayo, Somalia’s southern port city, which is hundreds of miles from both Qalimow and Marka. 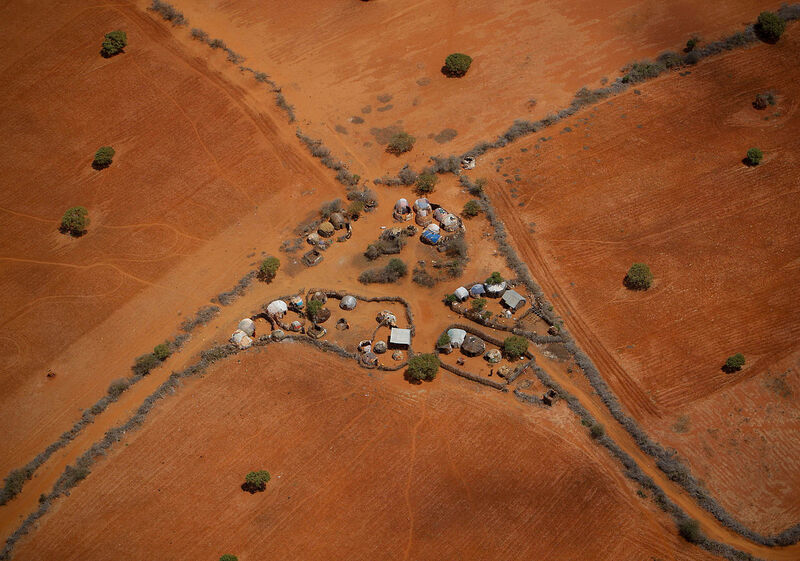 A rural homestead outside Kismayo viewed from the air. The US has conducted multiple airstrikes in the region. AFRICOM doesn’t list any strikes near his location in July 2017, but in November 2017, it confirmed three previously unreported strikes on July 15, 20, and 21 to the Bureau of Investigative Journalism, a British nonprofit newsroom. After repeated questioning, AFRICOM released the location of the three strikes to me; none are near Osman’s home. When approached with Osman’s story, AFRICOM stated that it didn’t match any of its records. This raises the possibility that it was a CIA strike; the CIA has not responded to any press inquiries for this article. Amanda Sperber is a freelance foreign correspondent based between Mogadishu, Nairobi and New York.